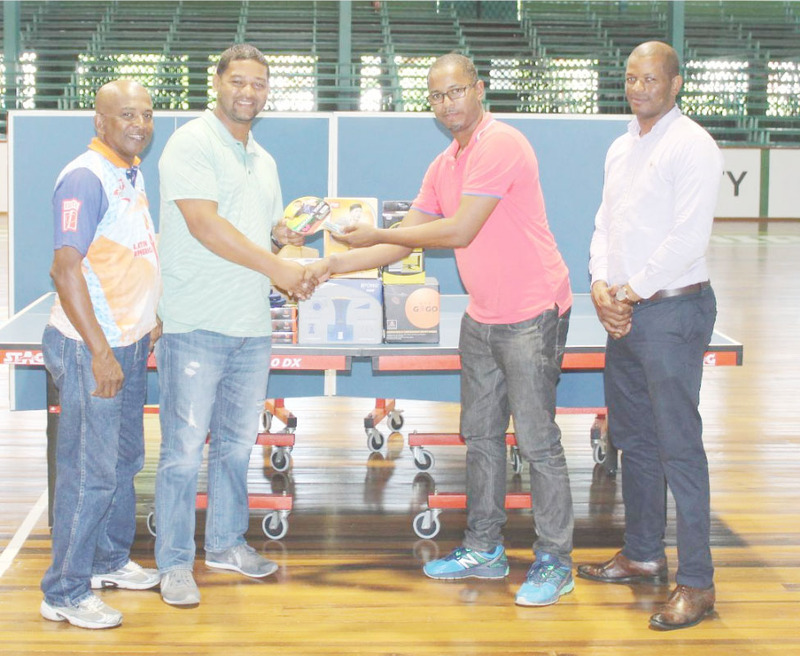 The proprietor of Dominion Enterprise, Dwayne Munroe, on Friday made a sterling contribution to the Bartica Table Tennis Steering Committee (BTTSC) in an effort to assist with the development of the sport on the island. The businessman, a former table tennis player himself, handed over several table tennis equipment to the president of the BTTSC Timothy Cornelius at the Cliff Anderson Sports Hall. “The initiative is geared at developing the young table tennis players in Bartica. 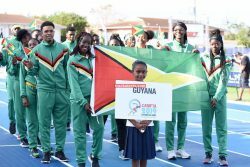 As a former player, I felt it necessary to make this donation and it’s also part of my social and corporate responsibility being the owner of Dominion Enterprise to contribute to the development of youth in Guyana,” Munroe said. 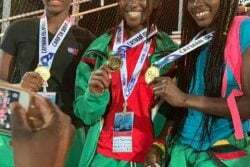 Cornelius stated that the equipment will be used during several training camps that are to be organised by the Guyana Table Tennis Association (GTTA) and during an upcoming primary school table tennis tournament set for June 24 in Bartica. 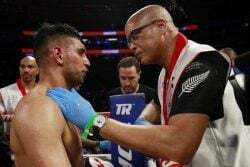 Meanwhile, the GTTA, in an effort to revive the sport in Bartica recently installed a steering committee headed by Cornelius. GTTA president and secretary Godfrey Munroe and Linden Johnson were also present at the handing over ceremony.